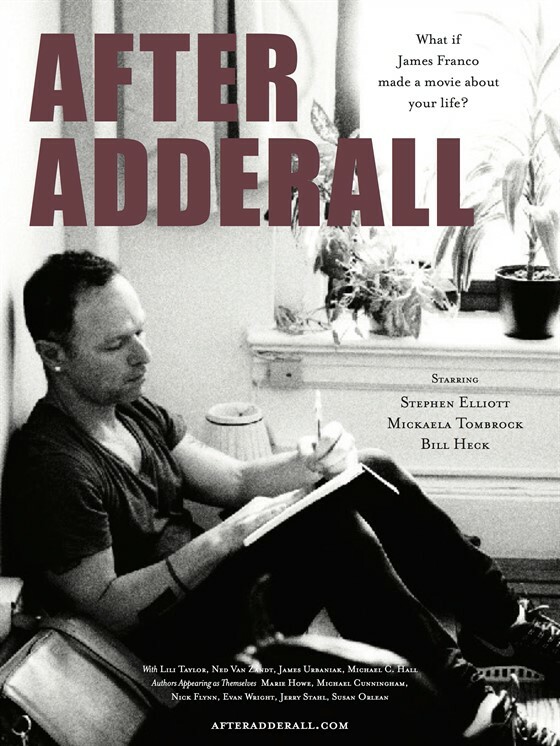 In 2010, James Franco optioned “The Adderall Diaries,” a memoir with a true-crime twist that became a best-selling success for writer Stephen Elliott. Five years later, the film premiered at the Tribeca Film Festival, directed by Pamela Romanowsky with an all-star cast that included Christian Slater, Amber Heard and Franco himself. Meanwhile, Elliott had become a filmmaker himself. “After Adderall” is his hall-of-mirrors reflection on watching his life turned into a movie and fearing he has signed away his soul. The transparently “meta” endeavor, shot for $10,000 over eight days, stars Lili Taylor and Michael C. Hall, with the fearless Elliott in the role he knows best: Himself.